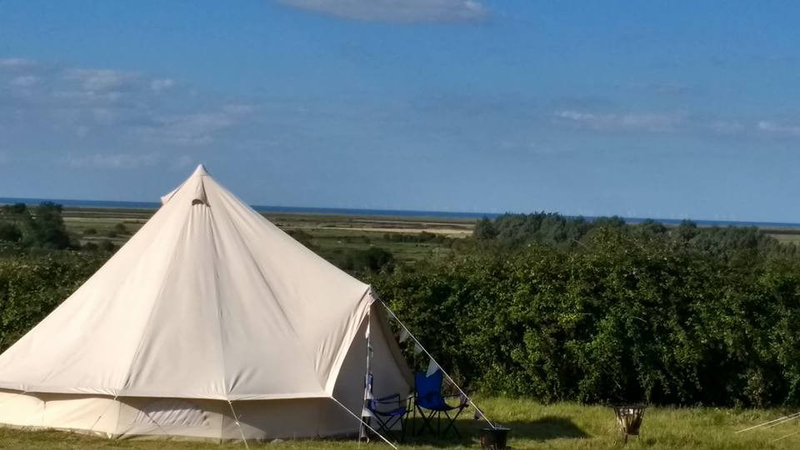 There is a £10 fee (2019) per person per night which is in addition to the cost of your tent and equipment hire. Other extras include dogs (£2, maximum 2) if allowed in your tent. Dogs must be tethered or on lead unless in exercise area. Once you have a bell tent reserved on www.2posh2pitch.co.uk ask Kate about payments for extras. please pay Kate for all extras. She will provide you with firebaskets. Wood bags £6, pay cash on site, or bring your own. Lighting fires and barbeques may be prohibited during the harvest. The instructions of the resident and attendant wardens must be followed at all times. If behaviour interferes with the enjoyment of other guests on Burnham Breck, you may be asked to leave the site. Please note that all facilities are shared with wild campers, and we hope that you will join in their activities and feel part of the church led family atmosphere. No noise is permitted on site, particularly any music played through speakers. Make sure you car is close to your tent and does not obstruct others. Cars may only be driven when entering and exiting the site, not to drive to the facilities. Gates must be closed and locked when entering or leaving. Engines may not be left running for whatever reason. Cars may not be parked in the entrance to the site, except by wardens. All visitors without reservations must leave by 6pm or pay a £10 over night stay, unless special permission has been given. No responsibility can be given for children unaccompanied in the showers and toilets where supervision is required. It is hoped you will visit St Margaret’s church where phone charging is available. Children visiting the church and churchyard must be accompanied by an adult and pay proper respect. Any questions may be addressed to the resident warden, adjacent to the facilities, or the answer may be on the notice board!